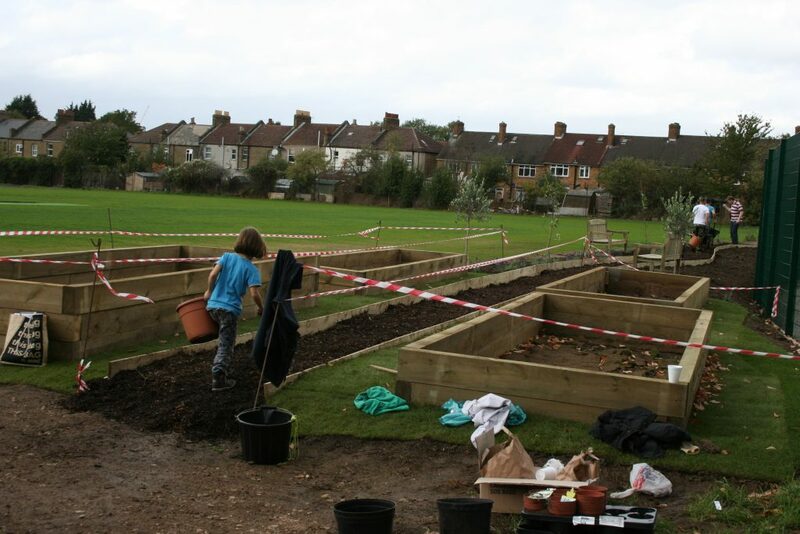 Last Saturday over 20 volunteers from the Archibald Corbett Society and the Corbett Residents Association joined forces to help put the finishing touches to the new community garden at Abbotshall Road playing fields. 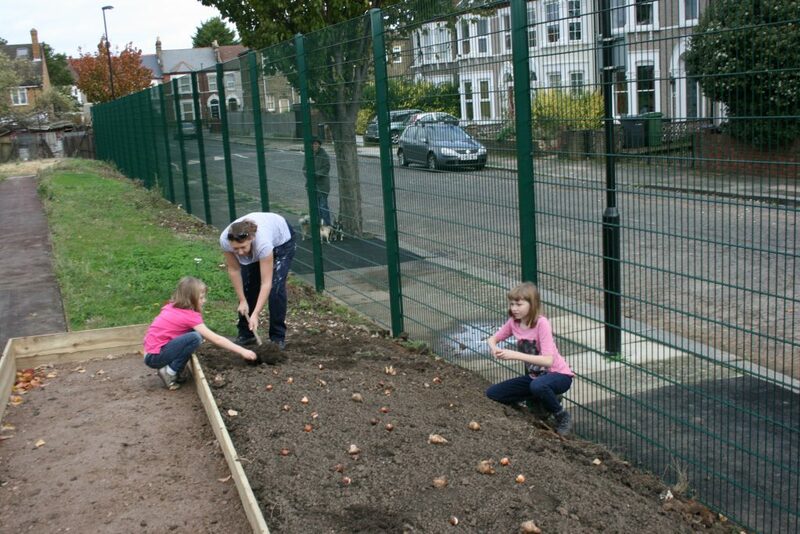 They planted hundreds of bulbs, bushes and trees and laid the bark chip path that runs through the centre of the garden which includes raised beds for vegetable planting, a wildflower garden and a fruit hedge which will be planted in November. 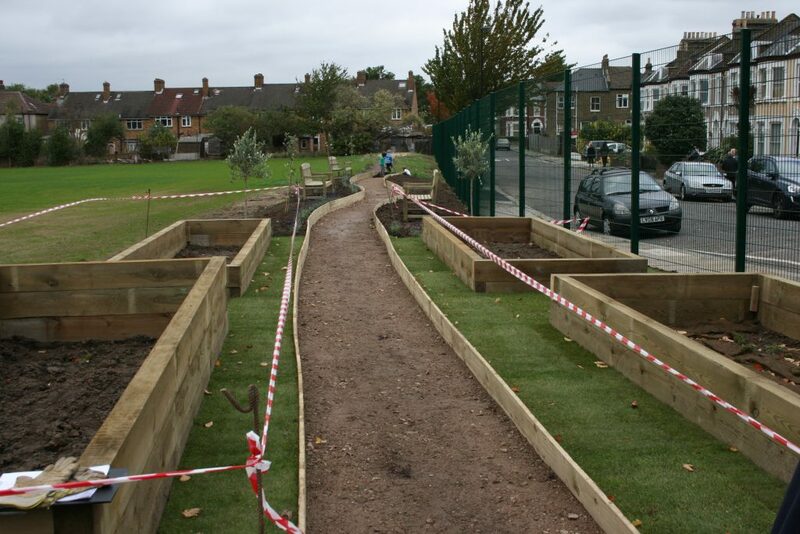 All vegetables and fruit grown in the garden will be harvested and used to prepare meals in the community cafe which is due to open in April next year. 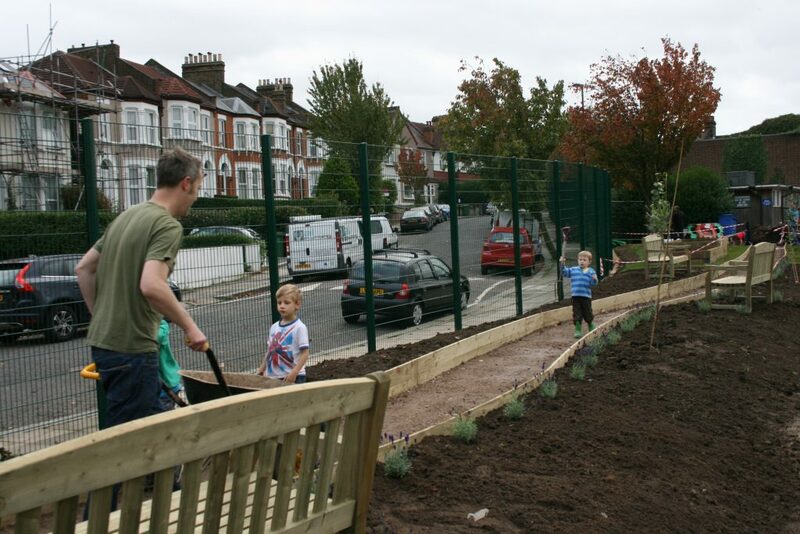 The garden has been made possible through £5000 funding received from the Mayor of London pocket parks scheme and through the hard of work of local resident landscape gardener Frank Hooks and his colleague Peter who worked tirelessly last week to build the raised beds, the path and the benches. There will be many opportunities in the future to volunteer to work on the garden growing vegetables and maintaining the site. Keep a lookout for future volunteer day announcements.